This is Wayback Wednesday, your midweek blast from the past! In this feature, we dig into the archives, look back at the history of basketball gaming, and indulge in some nostalgia. Check in every Wednesday for retrospectives and other features on older versions of NBA Live, NBA 2K, and old school basketball video games in general. You’ll also find old NLSC editorials re-published with added commentary, and other flashback content. This week, I’m taking a look back at the history of the Ultimate Base Roster, through an interview with HAWK23 himself. 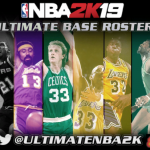 The Ultimate Base Roster, also known as UBR, began as a roster update for NBA 2K12 that also expanded upon the game’s historical content. Over time, it grew into a comprehensive modding project that not only kept NBA 2K12 up to date, but allowed basketball gamers to step back into the past with multiple complete season mods and other fun content. The project would later be adapted for NBA 2K14, a release that has received an update just today. Gamers have been enjoying UBR for years now, and it’s even encouraged long-time console users to pick up the PC versions. 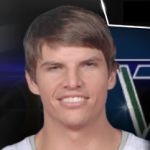 You can download the latest version of the Ultimate Base Roster for NBA 2K14 PC here! Be sure to check out the release topic here in the Forum for further information and previews. 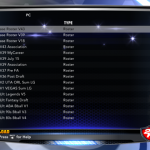 You can download the latest version of the Ultimate Base Roster for NBA 2K14 PC here. Be sure to check out the release topic here in the Forum for further information and previews. New logos, jerseys, and faces have also been added. You can check out a complete overview of the key features of V41 here. 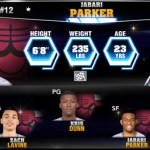 Download the latest version of the Ultimate Base Roster for NBA 2K14 PC here, and be sure to check out the release topic here in the Forum for further information and previews. V40 of the Ultimate Base Roster also features several art updates including faces, portraits, and much more. 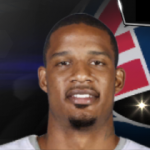 The news stories at the beginning of the first year in Association mode have even been updated to reflect the results of the 2018 season, and LeBron James signing with the Los Angeles Lakers. Download it here, and check out the release topic here. 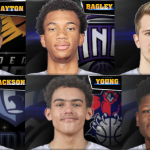 While there are no further updates for the NBA 2K12 version of the Ultimate Base Roster at this time, it is readily available once again as HAWK23 has updated the download links. Please see our earlier bulletin for more information. Outstanding news for everyone still playing NBA 2K12 or NBA 2K14: the official website for the Ultimate Base Roster is back online! HAWK23 has restored working download links for the NBA 2K12 version of UBR, so head on over if you haven’t previously downloaded the massive mod pack. The links for the NBA 2K14 version of UBR will be back online soon, after the completion of a July 2018 update. This is obviously fantastic news, as not only will the previous season mods be available, but there’ll be brand new rosters for NBA 2K14 as well. It’s been some time since the last UBR update, and from the reaction in our Forum, gamers are really looking forward to the forthcoming one. You can find the topic for UBR 2K12 here, and the UBR 2K14 topic here in the NLSC Forum. Be sure to check them out for download links, previews, status updates, and support. You can also connect with HAWK23 here on Twitter, where he’s posting updates about the Ultimate Base Roster. This is Wayback Wednesday, your midweek blast from the past! In this feature, we dig into the archives, look back at the history of basketball gaming, and indulge in some nostalgia. Check in every Wednesday for retrospectives and other features on older versions of NBA Live, NBA 2K, and old school basketball video games in general. You’ll also find old NLSC editorials re-published with added commentary, and other flashback content. 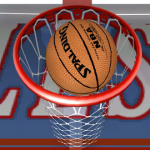 This week, I’m taking a look back at the Supreme Update Mod for NBA Live 07. Over the years, several amazing mods have been released in our community for both NBA Live and NBA 2K. Certain mods stand out as landmark releases though, delighting the community and inspiring other modders to produce great work of their own. Since it’s the tenth anniversary of NBA Live 07, and today also marks the 38th birthday of cover player Tracy McGrady, I thought that I’d talk about one of the most significant mods made for the game: the Supreme Update Mod. Undoubtedly one of the best projects to come out of our community, it’s about time that I profile it in a Wayback Wednesday feature. On this day in 1979, NBA history was made on opening night. In a 114-106 victory over the Houston Rockets, the Boston Celtics’ Chris Ford made the very first three-pointer in league history with 3:48 remaining in the first quarter. In that same game, the legendary Larry Bird made his professional debut, scoring 14 points to go along with ten rebounds and five assists. Elsewhere, Bird’s rival Magic Johnson also made his NBA debut, scoring 26 points and enjoying a 103-102 victory over the San Diego Clippers, courtesy of Kareem Abdul-Jabbar’s gamewinning skyhook. The arrival of Magic Johnson and Larry Bird, along with the debut of Michael Jordan five years later, propelled the NBA into a new golden age. All three legends appeared on separate covers for NBA 2K12, but since I’ve already talked about NBA’s Greatest in a previous Wayback Wednesday feature, I thought I’d do something a little different to mark the occasion. 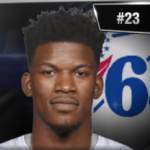 Using HAWK23’s amazing Ultimate Base Roster, I replayed the NBA debuts of Magic Johnson and Larry Bird using NBA 2K14 PC. Could I replicate their numbers and success?